Today’s post, co-authored by Michael Richtberg, VP at SoftNAS, who heavily contributed in describing much of the technical details discussed in this document. What if you could take advantage of the unlimited flexibility offered by an Azure cloud hosted infrastructure without changing your applications or your data? Would you consider a move that can keep up with your business, as needs change and your demands grow, without the strain of rearchitecting your own capital intensive data centers? Consider the flexibility and scale of Microsoft Azure on-demand resources, that no single organization could possibly afford, that allows you to tap into virtually unlimited adaptability… anywhere in the world! Purchase and fill for 3 to 5 years. Fixed capacity or scale up only. Flexible capacity – scales up or down as needed. Separate products for performance or capacity. Flexible combinations of performance and capacity workloads. IT organizations need the freedom to make the best choices for their business. Demands on enterprise storage capacities continue to grow at an increasing rate. Access to storing more data and enabling more applications and users, regardless of access requirements, are essential. With ultra-easy consumption, pay-as-you-grow pricing and no architectural limits on growth, the appeal of the consumption model of public cloud is rising. SoftNAS Cloud® is a software only enterprise storage virtual appliance solution that can replace traditional on-premise storage options for applications that typically require NFS, SMB/CIFS/SMB, iSCSI, and Apple File Protocol (AFP). Microsoft has partnered with SoftNAS to enable an easy transition to Azure for customers that need storage capacities ranging from terabytes to many petabytes. How Does SoftNAS Cloud Work? Creating the Virtual Storage Appliance – The Azure search function locates the SoftNAS Cloud image and then walks you through selecting an “instance type” for the virtual controller. Options instantly show up on the workflow in the portal for picking an appropriate compute capacity for loading the SoftNAS Cloud image. Azure instance types provide the vital physical ingredients that allow different degrees of performance like RAM and local SSD for caching, networking, and CPU. Here’s a video for details. Attaching the Storage Account – Using the flexible options for storage performance and capacity types available on Azure, users can attach the appropriate media provisioned from an Azure storage account. 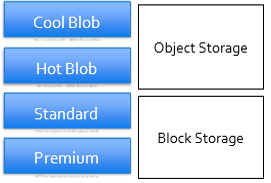 The options range from all flash to cool blob (object) storage types. 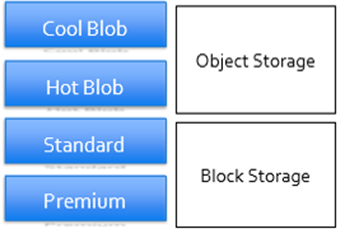 See more on using Azure block storage or for adding Blob (object) storage. High Availability – Using Azure Availability Sets, SoftNAS Cloud enables two instances that communicate via a virtual IP address to the workloads. The Availability Set architecture ensures that the two virtual machines running SoftNAS Cloud are not part of the same affinity group. For more information on setting up high availability, please see this video. and LUNs occurs via the SoftNAS StorageCenter™ web console. 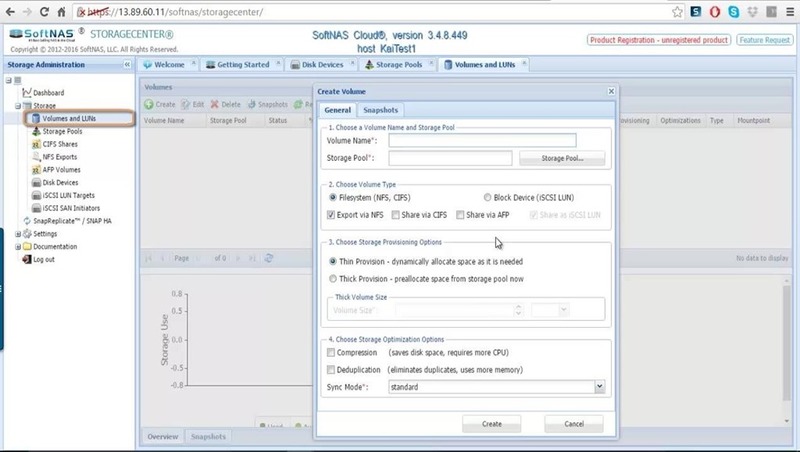 Here’s a video for an overview of the SoftNAS StorageCenter and more information on configuring pools and volumes. The resulting configuration leverages the Azure infrastructure that can now service workloads using standard storage protocol interfaces that can adjust over time to match business requirements. SoftNAS Cloud utilizes the Azure block and/or object storage accounts as a storage pool much like traditional storage systems use disk drives. SoftNAS Cloud and Azure make a great combination for increasing the native Azure file services capacity beyond the 5TB limit available today. Because SoftNAS Cloud is a software only means of creating the storage system, customers have the flexibility to choose from a wide range of Azure compute instances to meet varying performance demands. SoftNAS Cloud leverages these combinations to provide flexible cost and performance storage solutions that are often difficult or impossible to obtain using conventional on-premises options. If you are unsure of your future demands, you simply add-on capacity as your needs change. If Azure already provides storage, why do I need SoftNAS Cloud? AD/AAD/LDAP user access controls, consumption efficiency and full featured data services. Leverages the block storage to present NAS file protocols. Accelerates performance and improves data efficiency. Leverages the object storage to present NAS file protocols and expands the Azure capacity to petabytes by aggregating multiple storage accounts. Accelerates performance and improves data efficiency. 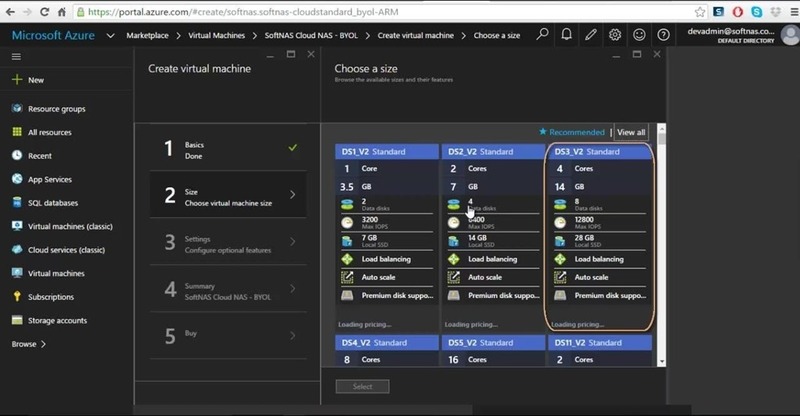 Hybrid storage for extending on-premises capacities to Azure using standard mountable NAS protocol connected over a VPN WAN connection is also a common use case. Use the existing data center infrastructure and expand to an Azure hosted storage option with ease. SoftNAS Cloud provides on premises to cloud capabilities for replication or expansion. SoftNAS Cloud extends native capabilities of Azure for CIFS/SMB, NFS, AFP, iSCSI storage. For use cases where applications need large file capacity (up to many petabytes) and need an easy way to move them to Azure. You are ready to move from traditional on-premises storage to an elastic public model but don’t want the expense of re-engineering the data services. Need a flexible storage model that can service different roles ranging from high performance all flash to capacity oriented Cool Blob. Free Azure Test Drive: Get started in under 10 minutes using the Azure Test Drive. This option allows you to quickly try SoftNAS Cloud without having to install or configure anything. The SoftNAS Cloud instance loads automatically, connects the Azure storage account and pre-provisions multiple storage volumes/LUN using NFS, CIFS/SMB, and iSCSI. No Credit card or Azure Subscription required but the environment is available for 1 hour from the time you enter the test drive. Free 30-Day Trial: You can also try the SoftNAS 30 day Free-Trial on your Azure subscription. This will allow you to install, configure and use SoftNAS Cloud as if you were running in a production environment. This allows you to explore the product for multiple weeks; but, it will require an Azure subscription. Purchase: You can purchase SoftNAS Cloud on the Azure Marketplace. We offer an Express Edition for 1TB of capacity, a Standard Edition for 20TB of capacity. Discounted larger deployments up to many petabytes, are available via a BYOL (Bring Your Own License) obtained by contacting the SoftNAS Sales team or an authorized reselling partner. You can also learn more about SoftNAS Cloud at our YouTube channel.